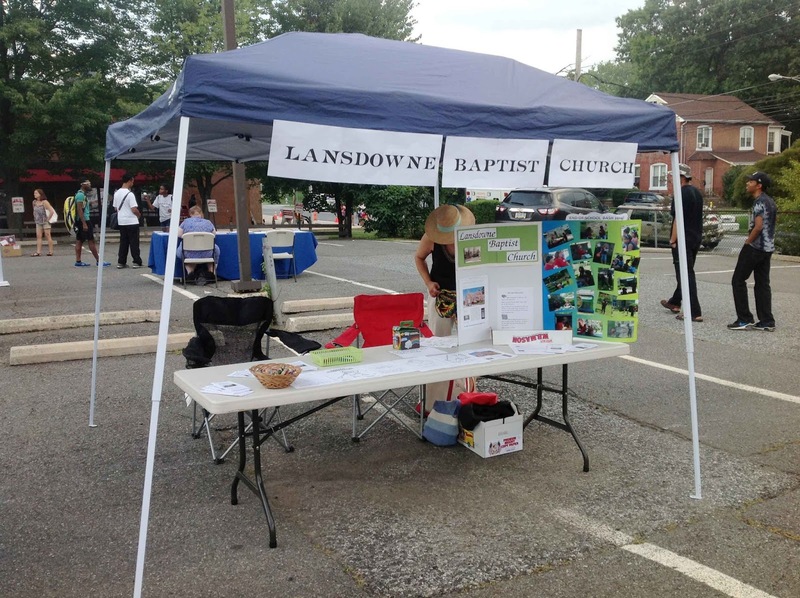 Lansdowne Baptist Church will be represented again at the Lansdowne, PA, National Night Out on Tuesday evening, August 1, 2017. 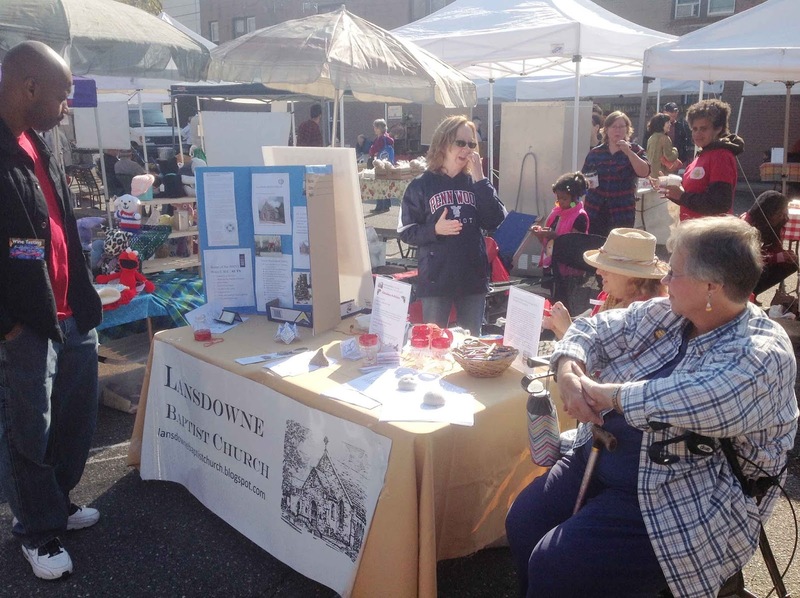 Come and meet us, get to know who we are, and let us get to know you too. 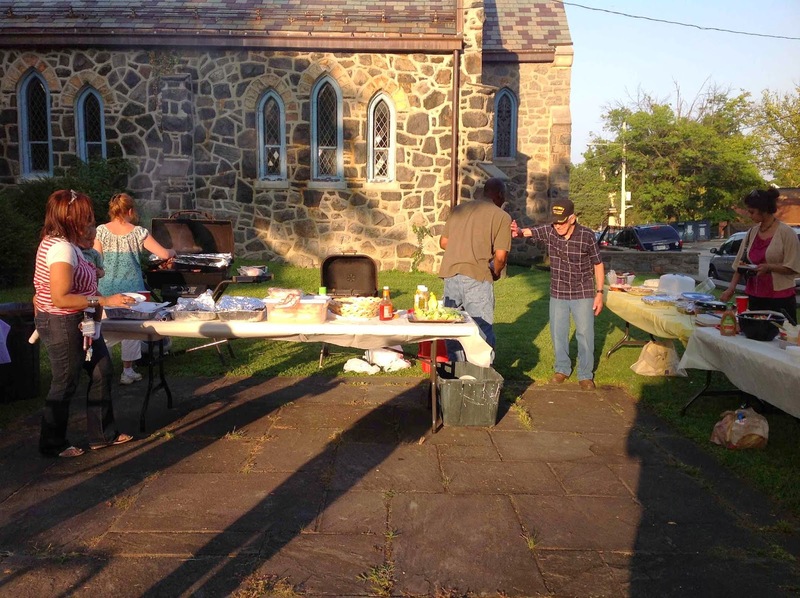 For any congregants interested in participating, the pastor and his wife will be setting up at 5 p.m. in the Highland Avenue parking lot. If you want to join us representing the church, please bring a chair and water. We will have a portable shelter as we have in the past. We'll bring information, invitations, some coloring pages to give away, and a good, old fashioned American Baptist Christian welcome! This year, the police department will be providing a "Critter Connection," allowing the community to meet Officer McGowan and his K-9 partner Chapek. 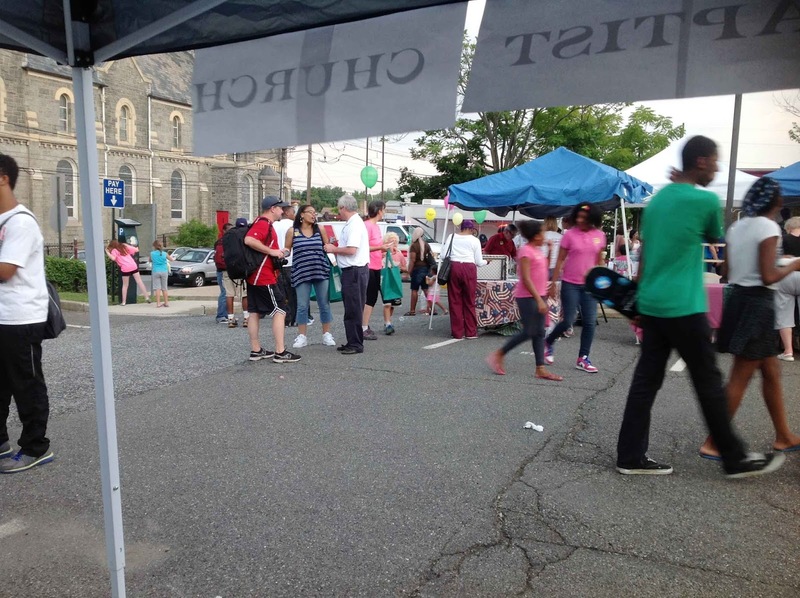 There will be a K-9 demonstration at 7 p.m. As always there will be a community cookout and The Taste of Lansdowne. It is a good time and a great opportunity to meeting more of our community and share our joy in Jesus. we have a good time. I want to take a moment to thank everyone who made the Lansdowne Baptist Church summer cookout on Wednesday night, August 17th, such a success. 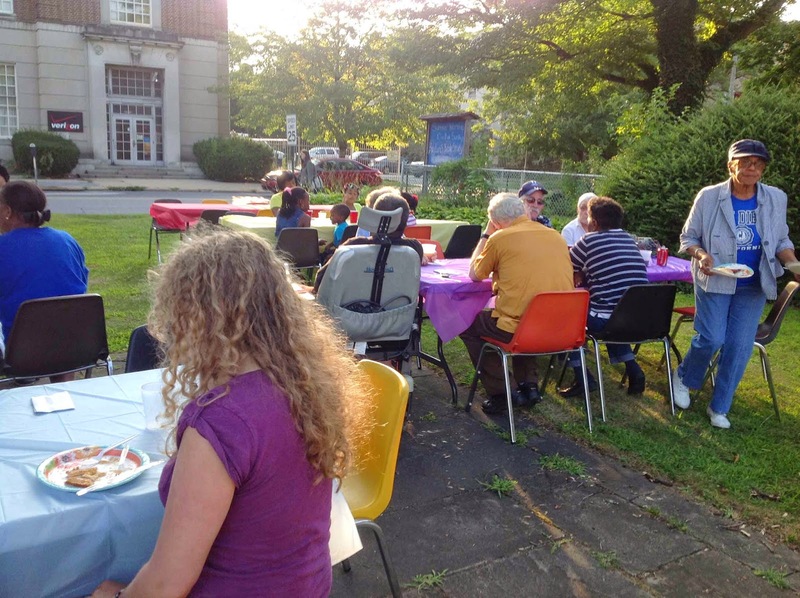 As always, we had a dedicated group of volunteers who planned, purchased supplies, set up, tore down, cooked for, and brought wonderful dishes to share to this annual event. 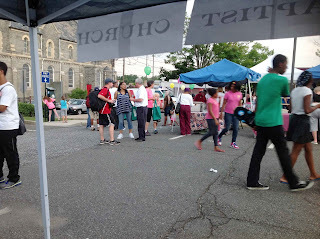 We had to move the venue away from our usual location on the corner of our property at the intersection of Lansdowne and East LaCrosse avenues. It was too hot. 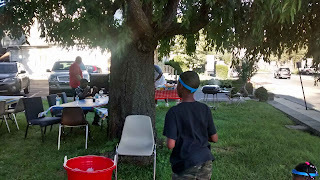 We moved the whole picnic under the shade tree outside the office wing. God blessed us with wonderful (if warm) weather and a steady breeze. 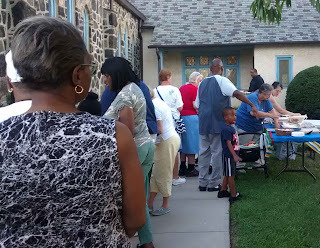 Somewhere between 50 and 60 people showed up, including members of our community who are always welcome to drop on by. Members and regular attenders brought their friends as well. A wonderful time was had by all. We set up a couple of tables inside the office wing for those who wanted air conditioning, but those tables were largely ignored. We American Baptists are a hearty bunch. We also had a pleasant surprise from the group that built and maintains the LBC Youth Garden. They revealed the new automated watering system that drip feeds the vegetable plants and flowers in all five of the raised garden beds. Well done, gardeners! There were lots of stories, lots of laughter ... and lots of food! 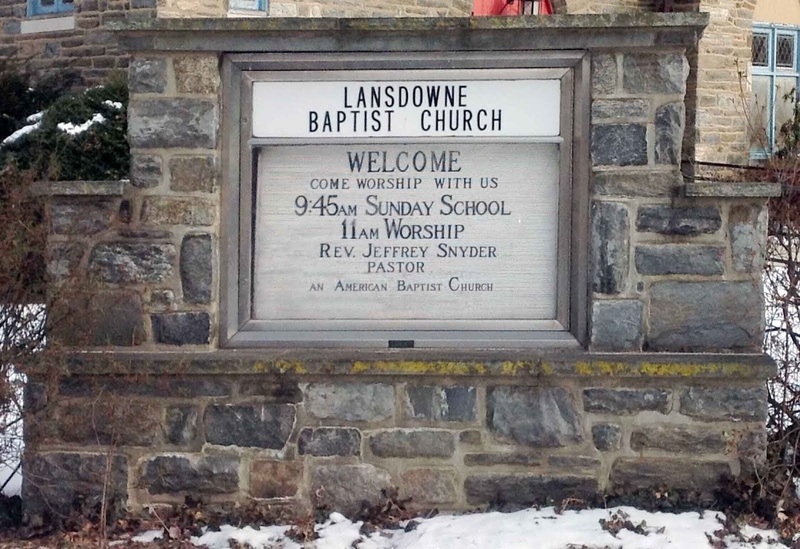 Some of the most valuable property Lansdowne Baptist Church owns is right out in front of our education wing. 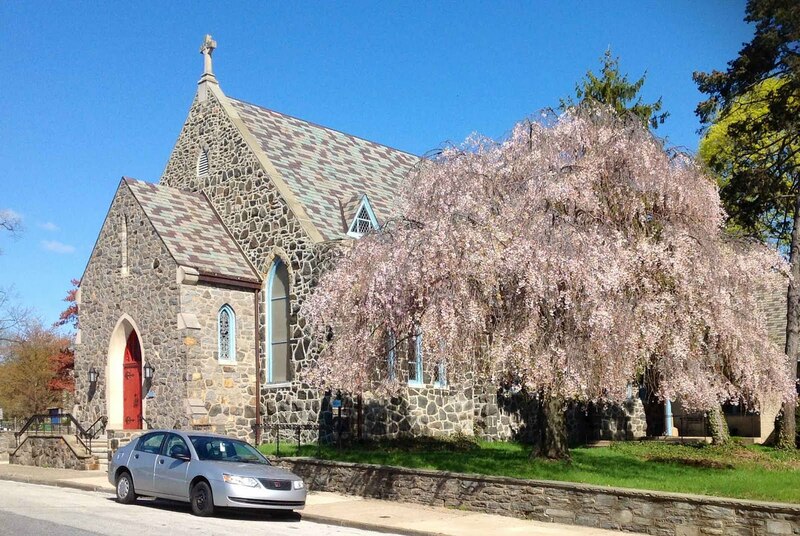 It is a corner with grass, trees, and slate pathways fronting on a busy street corner. 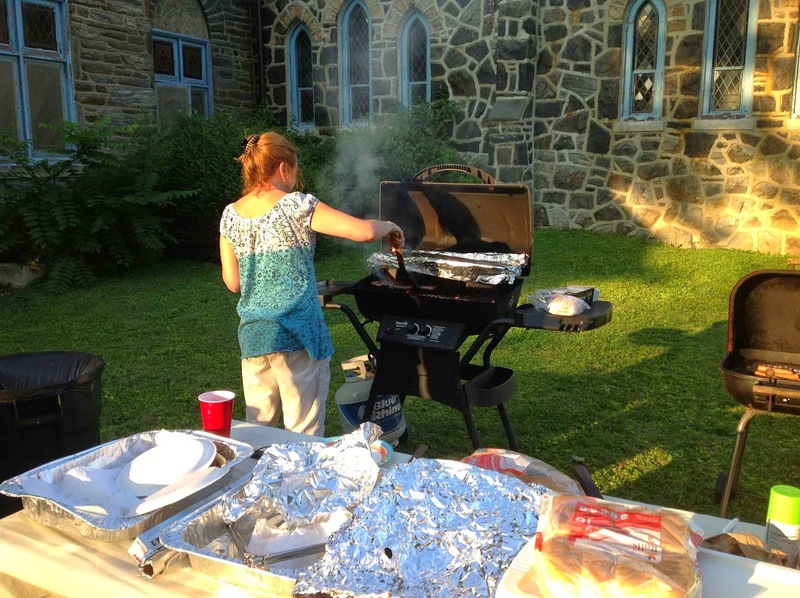 Right there at the intersection, we held our annual BBQ picnic for the congregation on Wednesday, August 6, 2014. 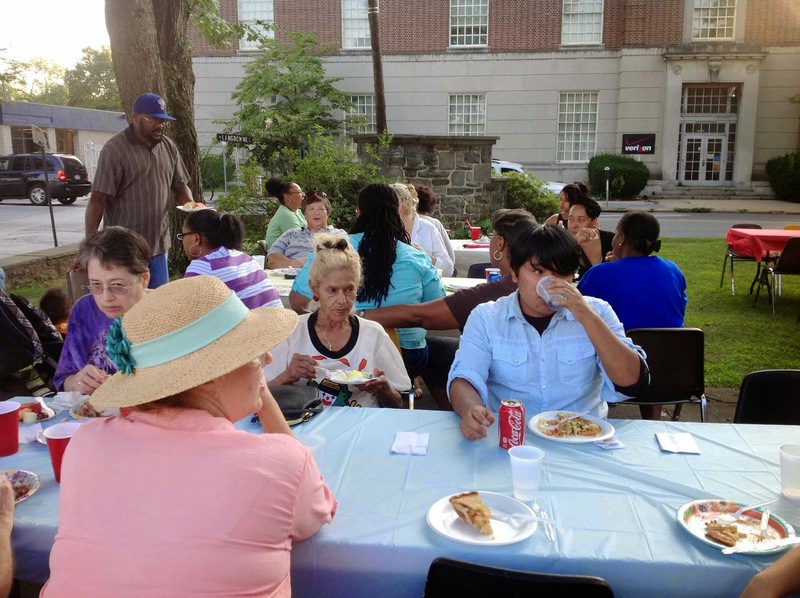 It is a much anticipated summer celebration, a chance for fellowship, and (if you know anything about Baptists) a chance to share really good food! It was a special event this year. As one of our members pointed out, the community was so open and friendly we encouraged some of our neighbors to ask us if they could join in on the fun and the food. We had wonderful conversations and broke bread with folks we had not yet met. We were able to share a little of the good news with others as well. It was one of those opportunities when Jesus called us to do more than just share with each other and we did. This was a wonderfully affirming moment that reminds us much of the work we are called to do will happen out in our community, not within the walls of our church. It is wonderful work for churches that choose to undertake it. It is also a chance to be fed ... spiritually as well as (in this case) physically. There were plenty of children as well (not represented in my pictures ... they were moving too fast for that). There were bubble wands and sidewalk chalk to keep them entertained ... and us as well. It was a grand evening. There's that busy intersection behind us! I am looking forward to doing this again next year ... perhaps with a few minor alterations that will better feed others. We shall see.